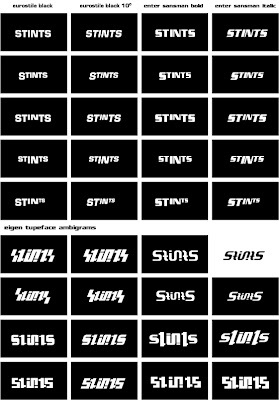 Here is an almost full logo design process only part missing is a costumer that reviews it, because this logo is made for a school project. I had to design a total new company out of nothings, this include choosing the name to the products. 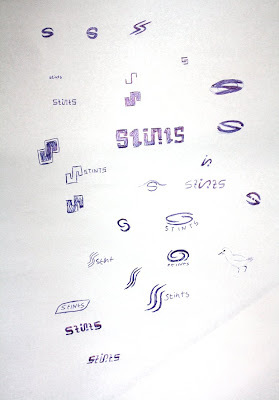 Here I will show you a bit of the design process to a logo. The company that is a competitive cycling company that uses more advance techniques to improve the speed of the cyclist in any means. The products are made to be upgradeable and have the best aerodynamic performance. The name Stints is made from the term stint, stint means a certain distance and time, it is usually used at certain competitions that involves distance and time. Often you hear it used at any motor sport competitions. 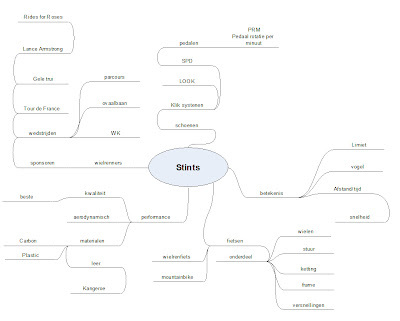 In the mindmap you have to write everything about the company. It does not stop at only the product but goes further from each part to the very last thing. 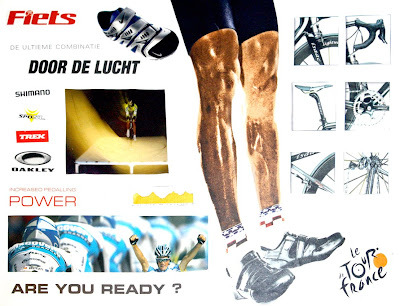 The mood was set by the moodboard with pictures about cycling sports. The pictures were searched by using the keywords found from the mindmap. 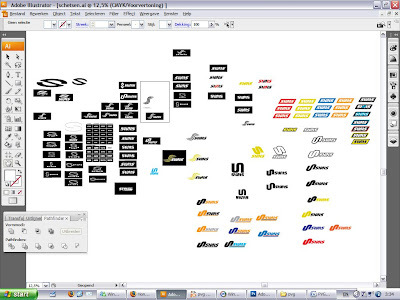 I am not really into this part of the step, because I now often make a custom typeface for the companies. However I just did something to walk around this part by putting own custom build font in it. I don't think it is smart to be always using standard fonts or be searching the millions ones out there. From all the fonts that are available at school there wasn't really allot. I even had to download one that is very sportive and that font is Enter Sansman however I don't know if this on is licensed because I have seen this font used allot by many companies nowadays. My own custom fonts are the ones on the bottom. I made an ambigram typeface for it because Stints could easily be made into an ambigram that can be read upside down. And because cycling sport have allot of rotating components, the logo could often stand upside down and as a sponsor you would like people to still know what is says even when it is upside down. The best font that came out was the one not in diapositive. It got the smooth flow running though it and also most easiest to read, and cause of the slight angle it have a more dynamic feel and flow to it. Now that the typeface research is done we could finally start on some sketching. Actually even though the typeface was chosen, it does not mean you have to use that font. Because I find often you have to choose the font at the last moment after the illustration of the logo if made, unless your logo is typographic only. After the paper sketching is done you go sketching inside illustrator. Advice is to sketch even outside of the border. The a4 template is the white rectangle with the black outline. Just keep sketching and saving it all in the same file. After a while it is easier to compare instead of copy and pasting from different files. Also easy to play around with colors and see what work and what not. After a long time of sketching choose out 3 that stand out the most. The first concept is chosen because of the flow and the yellow lines represents aerodynamic plus also looks allot like a road. Plus it first the chosen font allot. The second and third are chosen because it is a part out of the typeface that looks allot like an S but also looks like a twisty road with bends. The final chosen logo was particulary hard because they all had somethings. Just the third wasn't that good because it is an outline design. These kinds of logo is best to be avoided however in this case it does looks good however when resizing it it will be something very hard to be printed with some methods when the lines get thinner and thinner. This is finally the chosen because the logo could stand better out on it own and the wavy design had less strength in it when it was stand alone. Also added a good strong color to the design. Orange because it means strength and endurace and that fits allot with the sense of great cycling equipments. The gray is use to equal the overall strength of the look. This gray have about the same hardness level making it pleasant for the eye to look at. I had an orange black sheme at first but the black was just too hard and make the logo self stand out less then the typeface, by lighting the black to gray and to an equal level as the orange, the overall design fit more as one. we are nagfa from Singapore, and we're into ambigrams ourselves. This is one of the better ambigram process posts we've come across. He will be honoured to having you share this on his blog.